Columbine Chorale. Music Director Brian Eichenberger conducts seasonal choral music, including four settings of the ancient Christmas text, O Magnum Mysterium, by Giovanni Palestrina, Francis Poulenc, Morton Lauridsen, and Ivo Antognini. 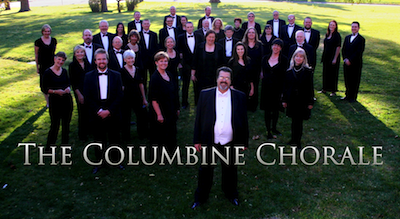 Visit www.columbinechorale.org for ticket information.